Britain’s oldest DJ is hanging up his headphones and taking his final spin – at the age of 72. 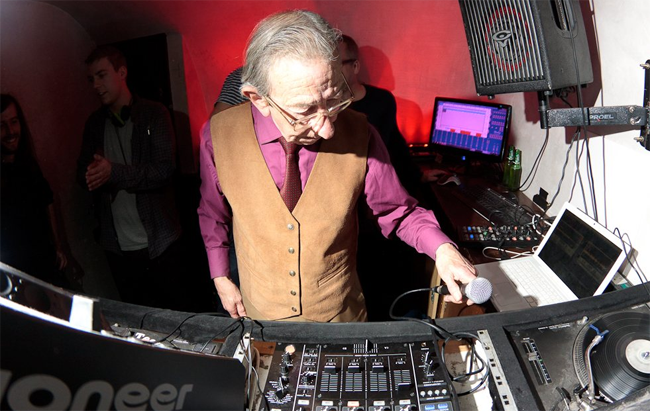 Legendary DJ Derek has starred in music videos with EDM stars and played with groups. But after decades at his decks the aging star is calling it a day. Derek Morris, from St Paul’s, Bristol, gave up work as an accountant at chocolate makers Cadbury after 18 years to become a full time DJ. He is known for his Disco collection and has played at some of the UK’s largest festivals including Glastonbury and The Big Chill. Derek plans to spend his retirement travelling and visiting more of his beloved local pubs and listening to his favourite music at home. 'Wrong Cops' NEW Movie Trailer Revealed! Unique Photographs Of Recreational Drugs!